As the D.C. Fire and EMS Department handles a growing number of 911 calls, officials are examining whether taxis or Uber drivers' cars could be used to transport callers who do no have true emergencies. 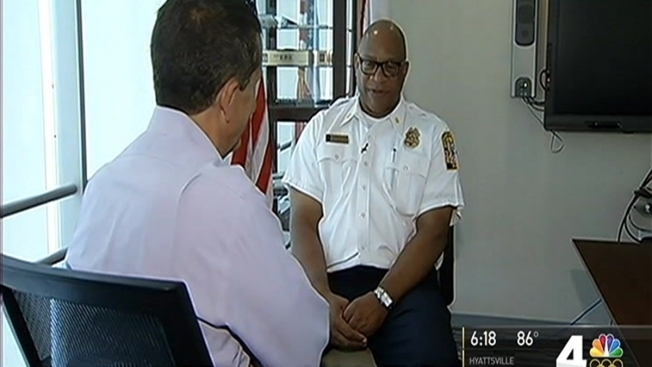 D.C FEMS Chief Gregory Dean told News4 on Monday that the department and other D.C. officials are considering adding nurses to the 911 call center to evaluate medical needs and using vehicles other than ambulances to transport people who need to go to a doctor's office -- but not to an emergency room. "We are working with the health department to find other ways to transport people, such as using a contract taxi cab or Uber," he said. "We are trying to find creative ways to try to reduce the strain on the system." D.C. dispatched more than 160,000 responses to 911 calls for EMS in 2015. An analysis showed many of these calls were not high-priority emergencies. When 911 callers ask for help, crews respond, Firefighter Greg Thompson Jr. said. He has spent nine years on Engine 30. "No matter if you call and you stubbed your toe, no matter if your house is on fire, we are going to be there ASAP," he said. Dean said he plans to have recommendations from a task force by October for implementation in early 2017. Uber works with local governments in several locations across the country to give rides to seniors, supplement public transportation and discourage drunken driving, a representative said in an email. Dean spoke as Engine 30 -- located on 49th Street NE, just east of the Benning Road Metro station -- was ranked by Firehouse Magazine as the fourth busiest in the nation. No one in our region runs as many calls as the personnel on this truck. Engine 30 engine alone handled more than 7,600 calls last year. On average, that's about 20 calls per day. "They're hoppin' and they're hoppin' all day long, every day," Dean said. "It's a beatdown sometimes," DCFEMS technician Kenneth Wells said. He sits behind the wheel of Engine 30. The full list can be found in Firehouse magazine.